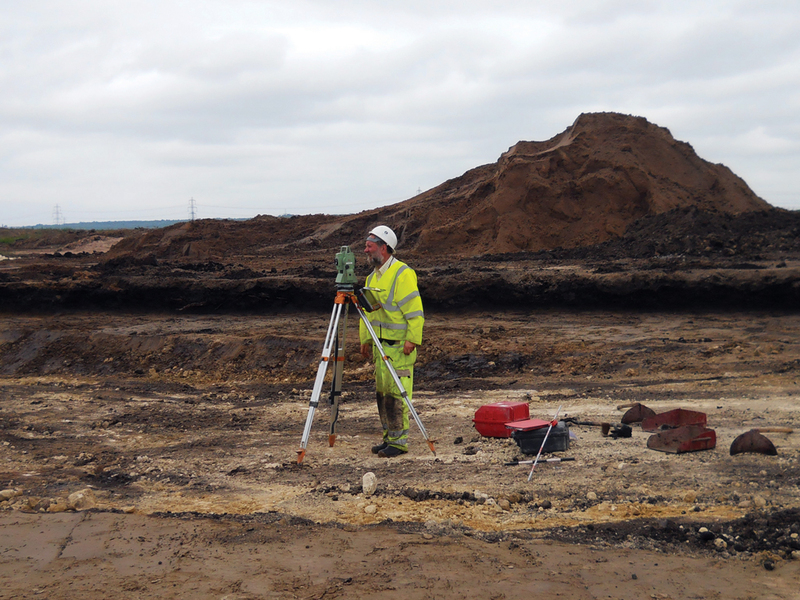 Conditions of consent for a development may require the design of a Programme of Archaeological Works. This needs to meet the requirement of the planning conditions but also needs to be practically achievable and fit with intended methodologies of the developer or their sub-contractors. Headland has the experience of putting project designs into practice, balancing on-site practicalities with archaeological need. Headland has long had an excellent relationship with SSE Renewables, and has undertaken both consultancy and contracting work on their behalf at numerous renewable energy developments across the UK. 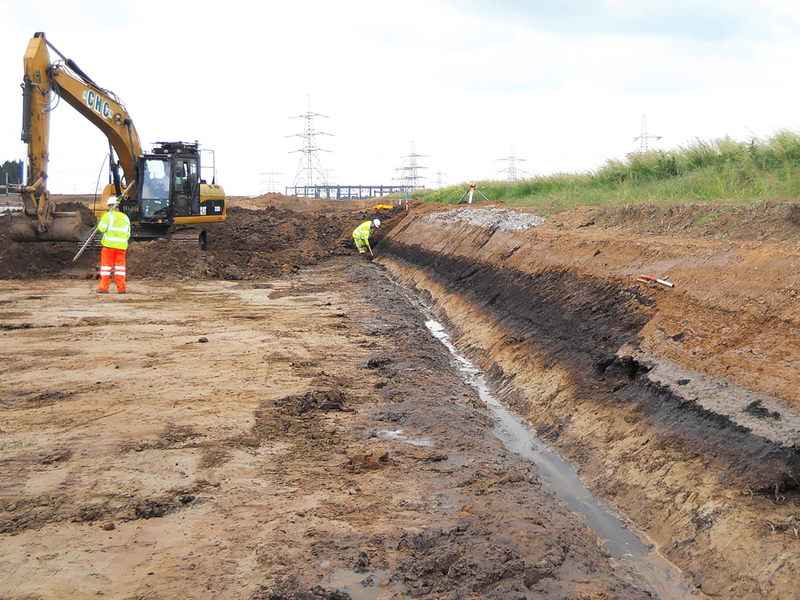 On the back of similar services provided in advance of the Griffin and Calliachar Wind Farms in Perth & Kinross, we were brought in by the Keadby Project Team to design a programme of archaeological works which would address the various conditions which had been placed on the consent. 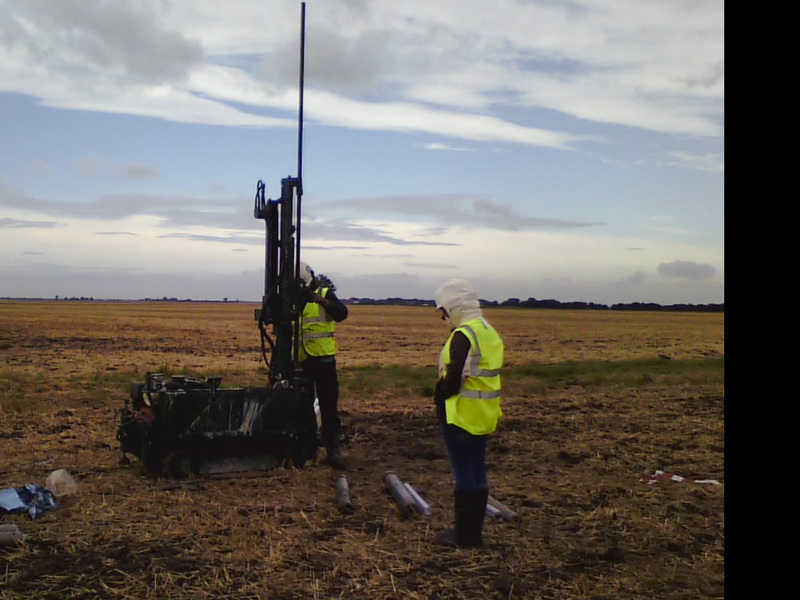 In 2013 we completed a Programme of Archaeological Works including auger survey, archaeological evaluation, palaeoenvironmental coring, and excavation and monitoring. The first task was to produce an Archaeological Mitigation Plan. This had to combine and rationalise conditions from two separate planning decisions, and ensure that both sets of requirements were met. The archaeological potential within the site was considered to be high to medium, in particular for wooden artefacts, structures and human remains, because of the ground conditions on the site. 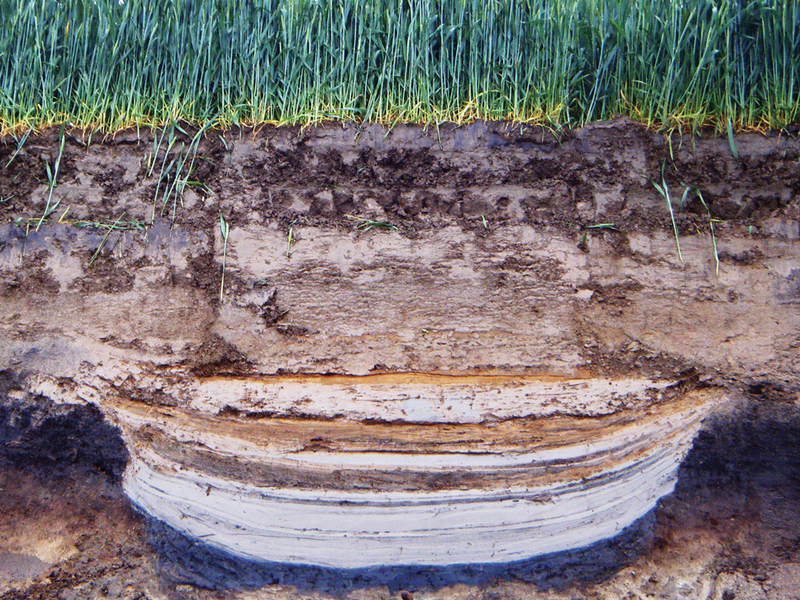 The nature of the landscape, in particular the presence of deep deposits of silts and humified peat meant that standard evaluation techniques such as trial trenching were not practical. The Archaeological Mitigation Plan was designed to identify which areas of the development could be signed off as requiring no further investigation, and which would require further work. It was also designed to identify what methodology would be most appropriate for further investigation in different locations and conditions. Following an assessment and review of all the borehole, test pit and window sampling logs previously undertaken, and records showing the presence of peat, we were able to plot the areas of deepest peat, and categorise the sediments above and below it. This allowed us to then recommend a combination of augering and trial trenching to identify areas for final monitoring and those areas which could be signed off. Auger surveys and coring identified four chronologically distinct peat layers, with the earliest dating to the Early Holocene, approximately 11,500 years ago. 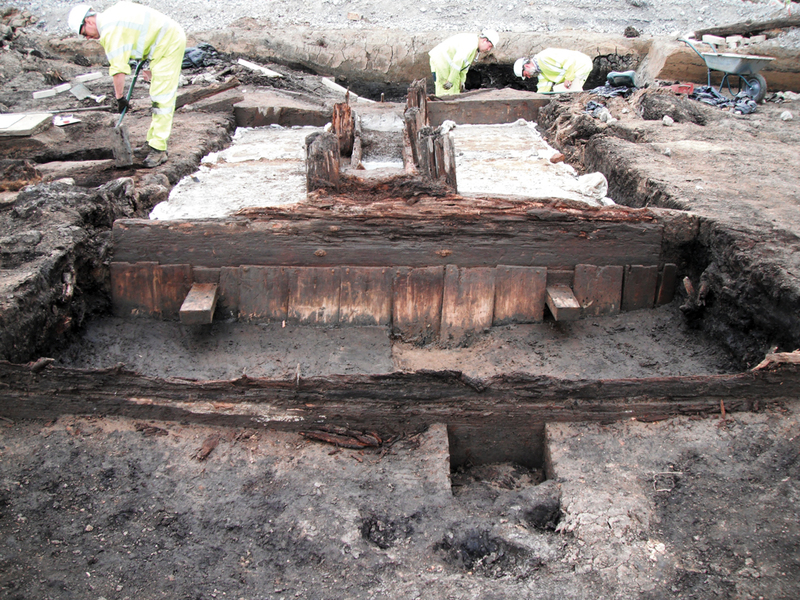 Peat deposits dating to the period ranging from the Neolithic to the Iron Age survived on site and therefore there was potential for the survival of worked wood within the peat and evidence of burning events associated with clearance in the Neolithic/Bronze Age period. 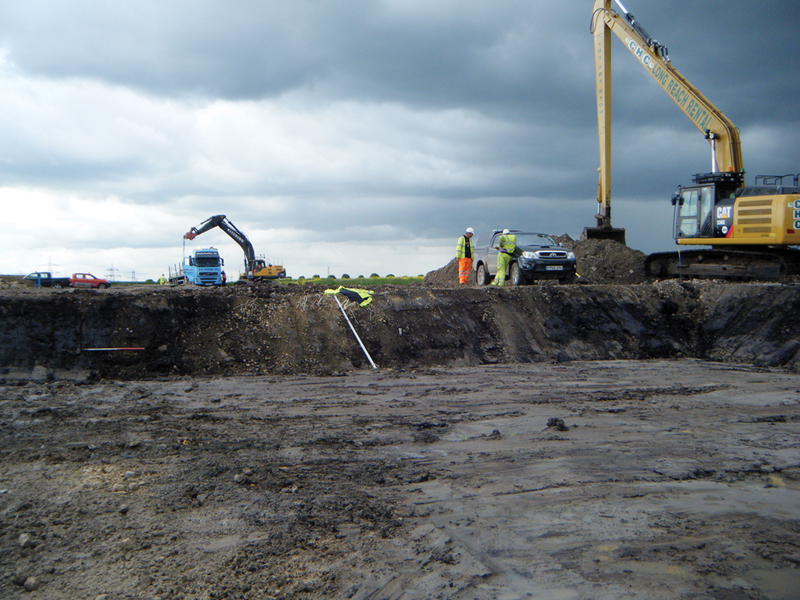 A number of archaeological features were subsequently revealed and excavated including the remains of post-medieval drainage systems such as a warping channel sluice inlet and the foundations for a pumping station. Charcoal horizons, which may relate to natural fire or prehistoric burning events such as slash and burn agriculture, were also observed beneath the peat. We are currently progressing with post-excavation works on the project with a view to publishing the results.